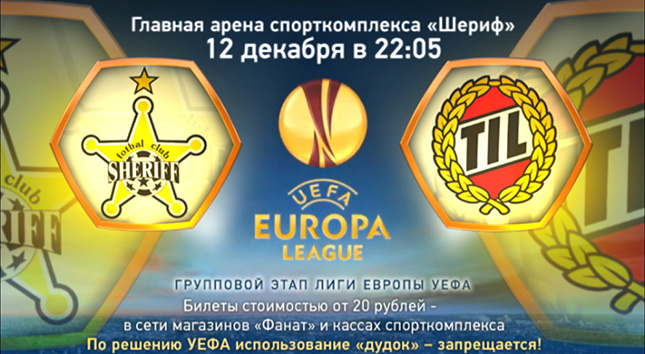 December 12, 2013 at the main arena sports complex “Sheriff” will be the last match of the year in the group stage of the UEFA Europa League . FC “Sheriff” will take the team, which won the right to participate in the prestigious European tournament from Norway – the football club “Tromso” from the same city. “Tromso” is the most northerly football club in the world. For the team “Tromso” exit in the group stage of the UEFA Europa League is the debut in its history. The first game of two-legged confrontation teams did not reveal the winner. The match took place at the stadium ” Alfheym “, which seats about 7,000 spectators. Result draw piggy brought both teams in one score. The return match will begin December 12, 2013 at 22:05 local time (21:05 CET). Text online broadcast of the match will be available on the websites of clubs and UEFA website. All employees and service stadium preparing for the game at the highest professional level. International confrontation promises to be a real treat in the football life. We can expect the stunning game played both teams. On the recommendation of the use of the UEFA “horns” on European matches prohibited. In this regard, requests the fans not to bring them to the stadium. Tickets can be purchased since December 2, 2013 in the shops “Fanat” and the box office of the sports complex “Sheriff” (tel. : 373 ( 533) 6-34-34 , 373 (533) 8-45-45) . 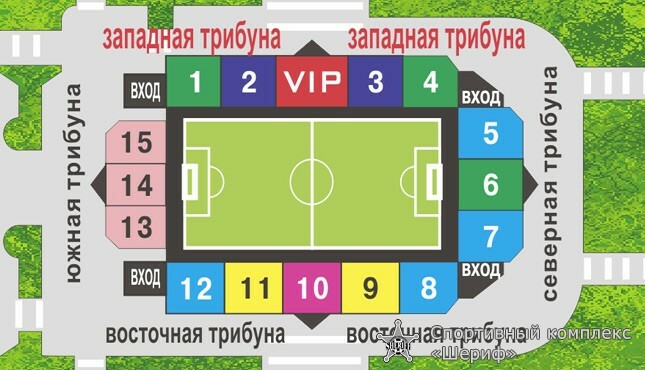 With the cost of tickets for the match, depending on the sector and the stands can be found below. Come to the game and support your favorite team!